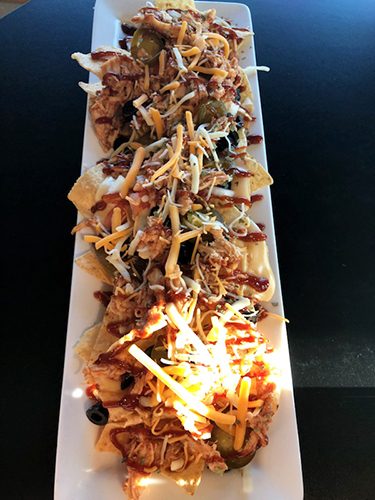 Traditional tortilla chips with homemade cheese sauce, choice of white or yellow Queso, BBQ pork, jalapenos, red onions and sour cream. Dig in and save the creamiest chip for last! 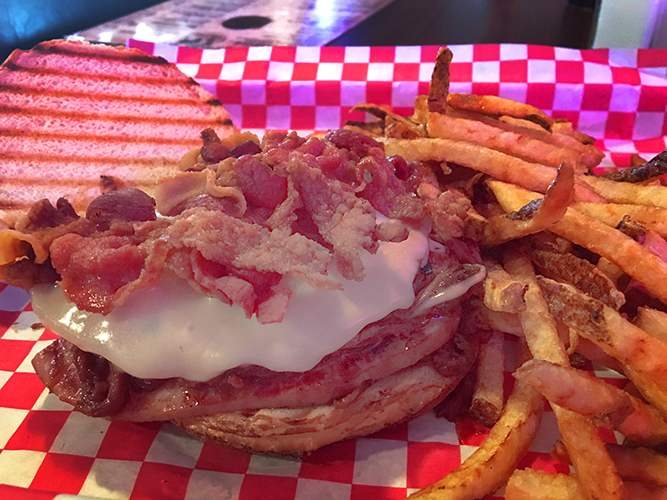 It Is Layers of Texas Toast, French Fries, Grilled Pork Burger, Thick Diced Honey Ham, Strips of Bacon. 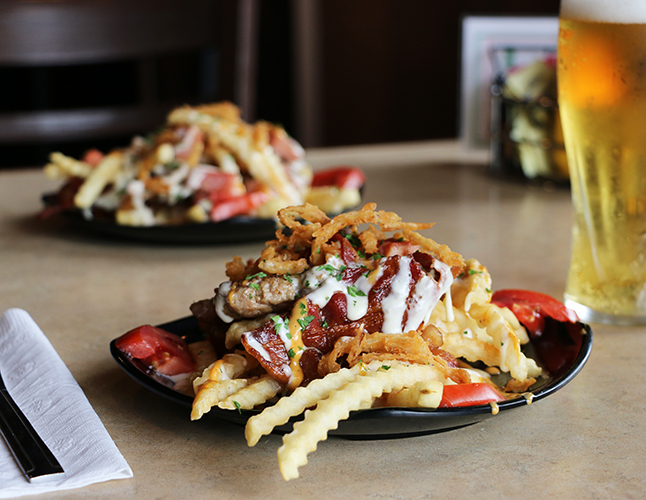 All Drizzled with Our Homemade Cheese Sauce, Garnished with Chipotle Sauce, French Fried Onions, Parsley and Tomato. 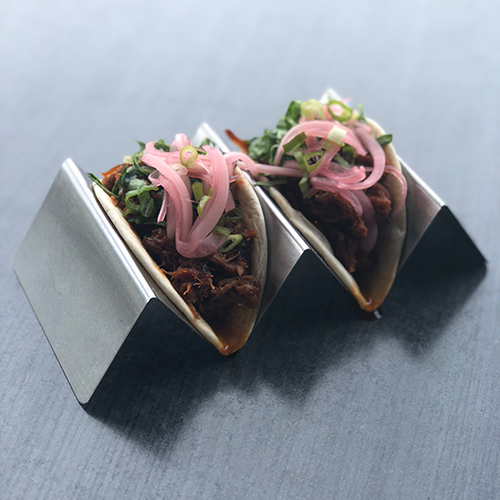 (2) Street Tacos Filled with Our Slow Roasted and Smoked in House Pulled Pork and Then Tossed in Our House Made Tangy BBQ Sauce. 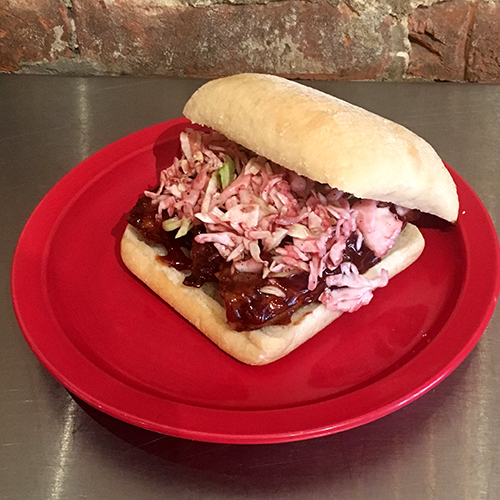 Topped with Crisp Shredded Lettuce and Pickled Red Onion. 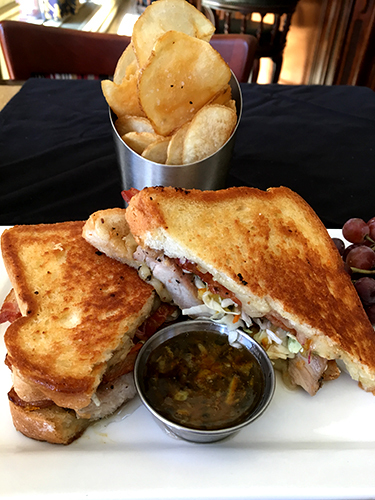 A roasted pork steak melt, with a marmalade/jalapeno jam, Havarti cheese, red onion served on grilled Texas toast. 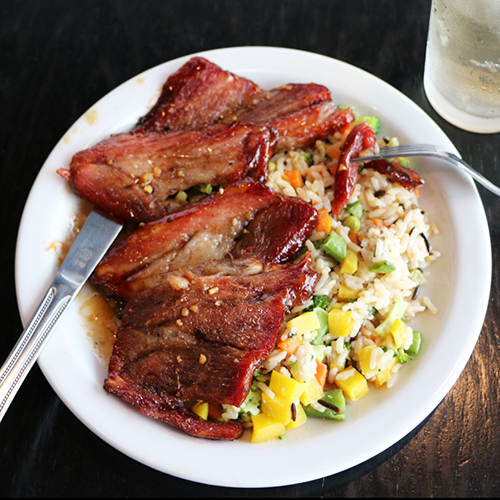 Created especially for #217FoodWeek by Chef Jeffrey Davis. 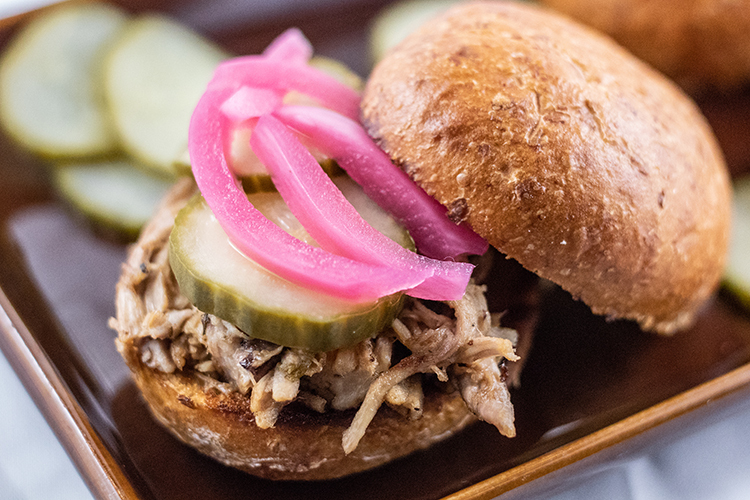 Our Dig the Pig offering looks like a burger-tastes like a brat! 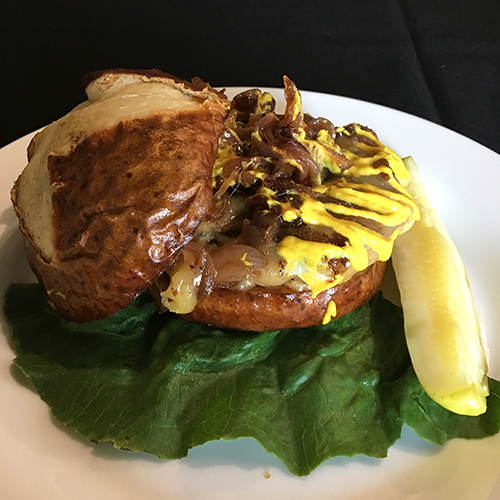 We’re featuring up a Brat Patty Burger, cooked to perfection, topped with Gouda cheese, Paulaner beer caramelized onions and served with brown mustard on a pretzel bun. Wunderbar! 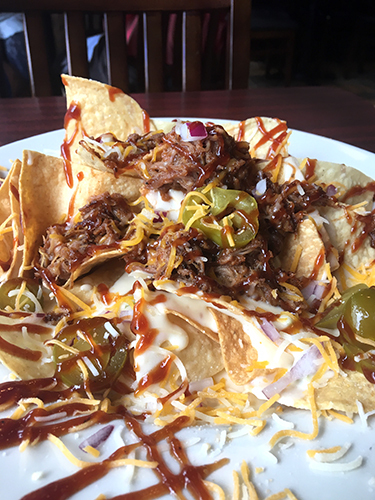 Slow cooked, hand shredded pork topped over fresh tortilla chips with white cheese sauce, tomato, onion, jalapenos and black olives drizzled with BBQ sauce and served with sour cream. 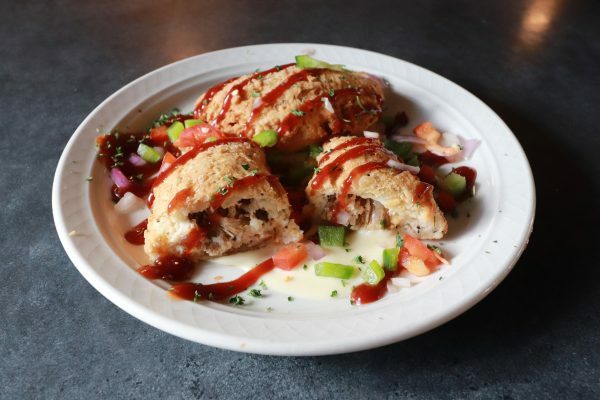 Our house-smoked pulled pork and pico de gallo wrapped in a sour cream empanada dough, deep fried then drizzled with BBQ sauce. 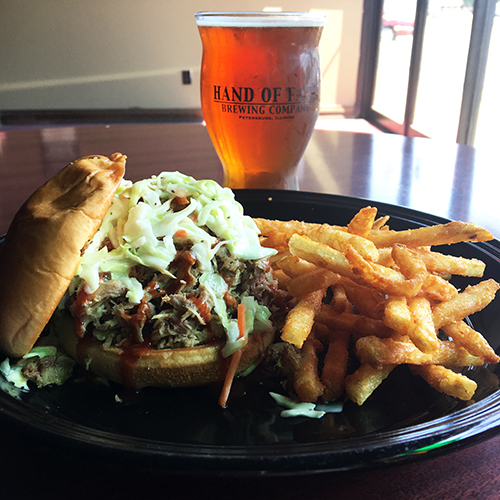 North Carolina style pulled pork sandwich topped with coleslaw and our special North Carolina vinegar sauce on a toasted bun served with fries. Enjoy Starship’s take on a North Carolina original! 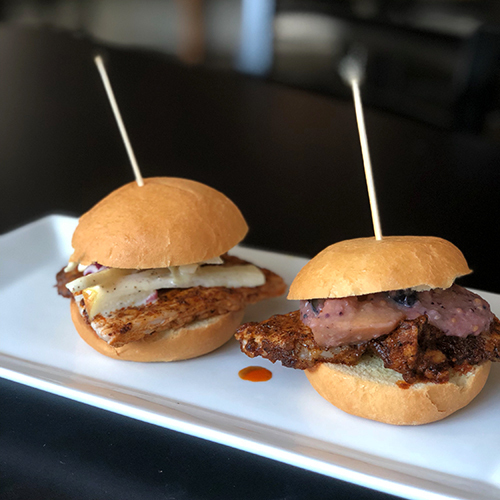 Succulent pulled pork topped with mouthwatering smoked ham and bacon, served with hand-cut fries.